In Phase III of WWF's efforts to strengthen sustainable rattan harvest and production, WWF’s Rattan Project, funded by Ikea, intends to expand the existing sustainable rattan supply and production chain with the aims of supplying 1,500 tons of sustainably managed raw material for production by 2014. WWF's rattan project in partnership with the Goverment of Cambodia, NGOs, and communities,works towards this goal by establishing rattan nurseries, planting rattan in natural forest, assisting communities in creating sustainable rattan management plans, and working towards rattan policy in order to facilitate trade. Learn more about this project through reading the Phase III Rattan project factsheet. 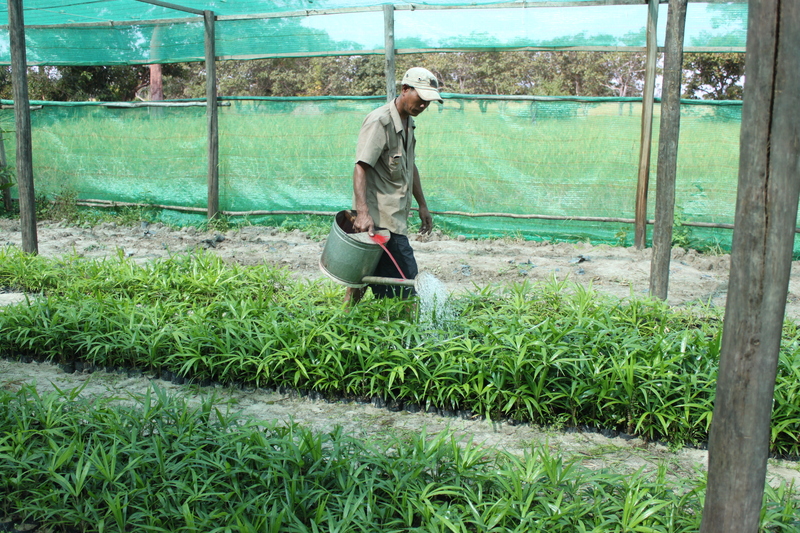 Watering rattan species in one of 7 rattan nurseries established to produce rattan seedlings with assistance from WWF's Rattan Project.